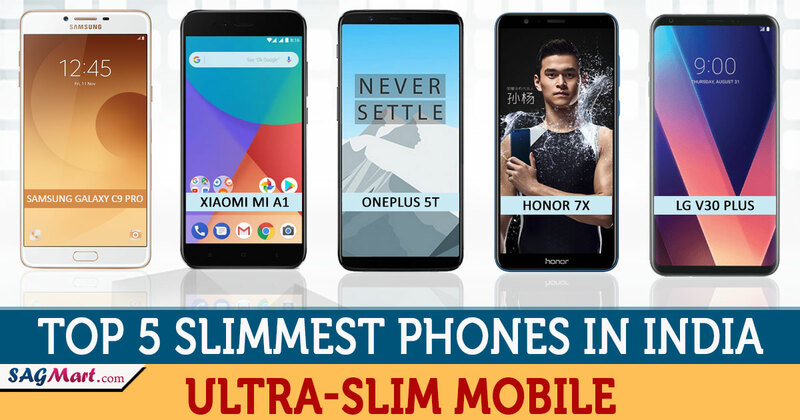 Top 5 slimmest phones in India, Ultra-Slim phones along with the high-end specifications, the look of any phone is also an X-factor for its sales. Consumer requirements specification is also getting changed along with time, nowadays people are interested in slim phones to buy in India. Today along with the high-end specifications, a buyer wants to purchase the slimmest phones available in the Indian market. Every smartphone manufacturing firm has some phone, which is claimed to be the thinnest smartphone in the world, but to compare them and get the slim and light weighted phone in India is quite a complicated task. Keeping this in mind we have a list of 5 slimmest phones in India, which are currently available in Indian market. These slim phones are also available with high-end specifications, which will give you great handset experience and a sleek body phone design as well. Let’s have a look at these smartphones. 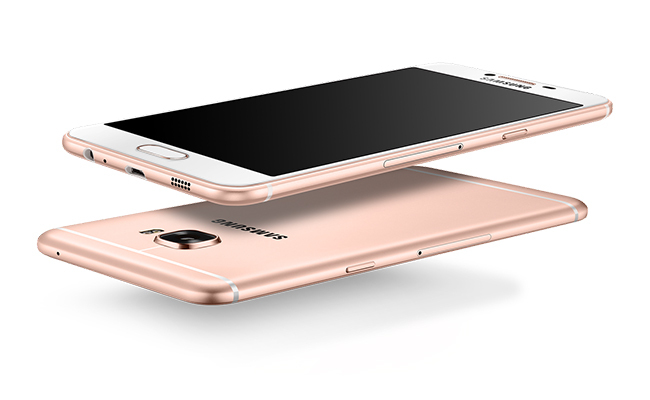 The Galaxy C9 Pro smartphone is a lean mean machine. The stunning crafted design with solid curves. The Galaxy C9 Pro comes with a 6.00-inch (15.2cm) full HD AMOLED touchscreen (16M colors) display with a resolution of 1080 pixels by 1920 pixels. The smartphone Corning Gorilla Glass (unspecified version) display protection. you can see your world come alive with breathtaking detail, incredible colour, and deep contrast. Galaxy C9 Pro price in India starts at Rs. 28,799. The Galaxy C9 Pro runs Android 6.0.1 (Marshmallow), upgradable to 7.1.1 (Nougat) and is powered by a Non-removable 4000 mAh battery. The device is powered by Octa-core (4×1.95 GHz Cortex-A72 & 4×1.4 GHz Cortex-A53) (CPU), Qualcomm MSM8976 Snapdragon 653 (Chipset) processor and it comes with 6GB of RAM. The handset packs 64GB of inbuilt storage that can be expanded up to 256GB via a microSD card. The phone packs a 16 MP, autofocus, dual-LED dual-tone flash back camera and a 16 MP front shooter for selfies. The Mi A1 is powered by Octa-core 2.0 GHz Cortex-A53 (CPU), Qualcomm MSM8953 Snapdragon 625 (Chipset) processor and it comes with 4GB of RAM. The handset packs 64GB of inbuilt storage that can be expanded up to 128GB via a microSD card. 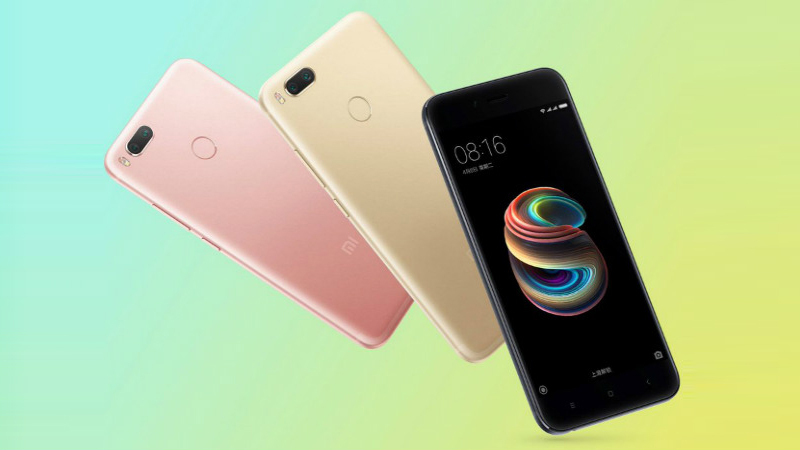 The Xiaomi Mi A1 packs a Dual 12 MP + 12 MP, phase autofocus, 2x optical zoom, dual-LED dual-tone flash back camera on the rear and a 5 MP front shooter for selfies. The Xiaomi Mi A1 runs Android 7.1.2 (Nougat), planned upgrade to Android 8.0 (Oreo); Android One and is powered by a Non-removable Li-Ion 3080 mAh battery. The handset comes with a 5.50-inch Full HD, LTPS IPS LCD touchscreen display with a resolution of 1080 pixels by 1920 pixels. The Mi A1 is a dual SIM phone that accepts Nano-SIM and Nano-SIM. The device connectivity options include Wi-Fi (Wi-Fi 802.11 a/b/g/n/ac, dual-band, WiFi Direct, hotspot), GPS (Yes, with A-GPS, GLONASS, BDS), Bluetooth, Infrared, USB OTG, 3G and 4G with support for Band 40 used by some LTE networks in India. The phone includes Fingerprint (rear-mounted), accelerometer, gyro, proximity. 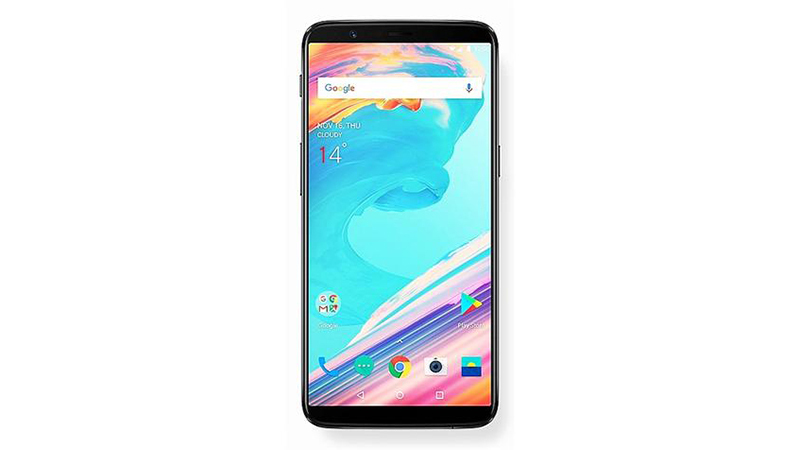 The OnePlus 5T is a dual SIM phone that accepts Nano-SIM and Nano-SIM. The device connectivity options include Wi-Fi (Wi-Fi 802.11 a/b/g/n/ac, dual-band, WiFi Direct, DLNA, hotspot), GPS (Yes, with A-GPS, GLONASS, BDS, GALILEO), Bluetooth, NFC, USB OTG, 3G and 4Gwith support for Band 40 used by some LTE networks in India. Sensors on the smartphone include Fingerprint (rear-mounted), accelerometer, gyro, proximity, compass. The OnePlus 5T runs Android 7.1.1 (Nougat) and is powered by a Non-removable Li-Po 3300 mAh battery. The device comes with a 6.01-inch (93.7cm2) full HD, Optic AMOLED touchscreen display with a resolution of 1080 pixels by 2160 pixels at a PPI of 401 pixels per inch. The OnePlus 5T is powered by Octa-core (4×2.45 GHz Kryo & 4×1.9 GHz Kryo) processor and it comes with 6GB of RAM. The phone packs 64GB of inbuilt storage that cannot be expanded. The OnePlus 5T packs a Dual 16 MP + 20 MP, phase detection autofocus, dual-LED flash primary camera on the rear and a 16 MP, gyro EIS, Auto HDR front shooter for selfies. 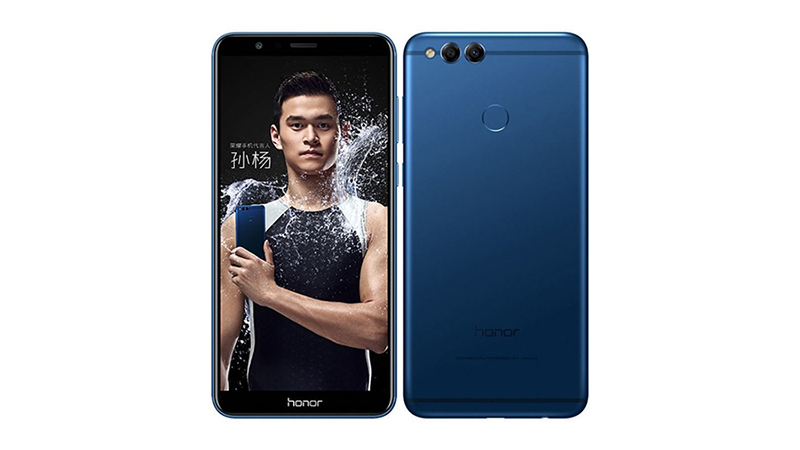 Honor 7X phone was launched in Oct 2017. The device comes with a 5.93-inch (15.06cm) full HD touchscreen display and edge to edge all screen design with a resolution of 1080 pixels by 2160 pixels. The handset runs Android 7.0 (Nougat) and is powered by a Non-removable Li-Ion 3340 mAh battery. The Huawei Honor 7X is a dual SIM phone that accepts Nano-SIM and Nano-SIM. The handset connectivity options include Wi-Fi, GPS (Yes, with A-GPS, GLONASS), Bluetooth, USB OTG, 3G, and 4G. The device includes Fingerprint (rear-mounted), accelerometer, proximity, compass. The smartphone is powered by Octa-core (4×2.36 GHz Cortex-A53 & 4×1.7 GHz Cortex-A53) (CPU) and HiSilicon Kirin 659 (Chipset) processor and it comes with 3/4GB of RAM. The phone packs 32/64GB of inbuilt storage that can be expanded up to 256GB via a microSD card. Huawei Honor 7X packs a Dual 16 MP + 2 MP, phase detection autofocus, LED flash primary camera on the rear and an 8 MP front shooter for selfies. 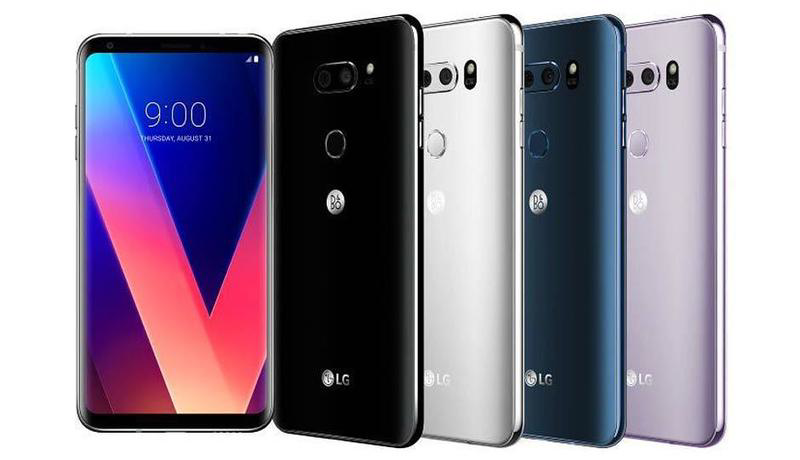 LG V30 Plus price in India starts at Rs. 44,990. The handset comes with a 6.00-inch (15.2cm) full HD touchscreen display with a resolution of 1440 pixels by 2880 pixels. The LG V30 Plus runs Android 7.1.2 (Nougat) and is powered by a 3300mAh non-removable battery. The LG V30 Plus is powered by an Octa-core (2.45 GHz x 4 + 1.9 GHz x 4) Qualcomm Snapdragon 835It comes with 4GB of RAM. The phone packs 128GB of inbuilt storage that can be expanded up to 256GB via a microSD card. The LG V30 Plus packs a 16 MP primary camera on the rear and a 5 MP front shooter for selfies.